Some Nevada residents may be surprised by the number of options they have for transferring their property upon death. Wills are just one way to pass on assets to heirs and beneficiaries. Every person’s circumstances are different, and for that reason, estate planning is not a “one size fits all” area of law. One of the main considerations in determining how to pass on property is whether the individual wants it to go through probate. 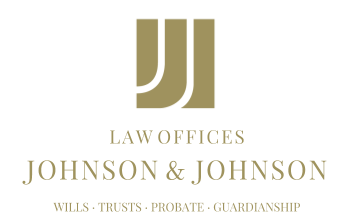 The probate process can be costly and time consuming. Transferring all property through a will means that the intended heirs will not receive their inheritance until the process is complete. It is often one of the last tasks performed by the executor of the will. It is possible to eliminate — or reduce — the time heirs and beneficiaries will have to wait. Some property can go to the intended individual shortly after death through beneficiary designations (retirement accounts and insurance policies), transfer on death designations (certain investment securities) and payable upon death designations (bank accounts). Many people use trusts to avoid probate, reduce tax liability and control how the property they hold is distributed after death. Many Nevada residents use a combination of wills, trusts and transfer vehicles to dispose of their property after their deaths. What combination works best is determined by many factors, such as the value of the assets and the family dynamic. To get the most out of the estate planning process, it would most likely be better not to go it alone.